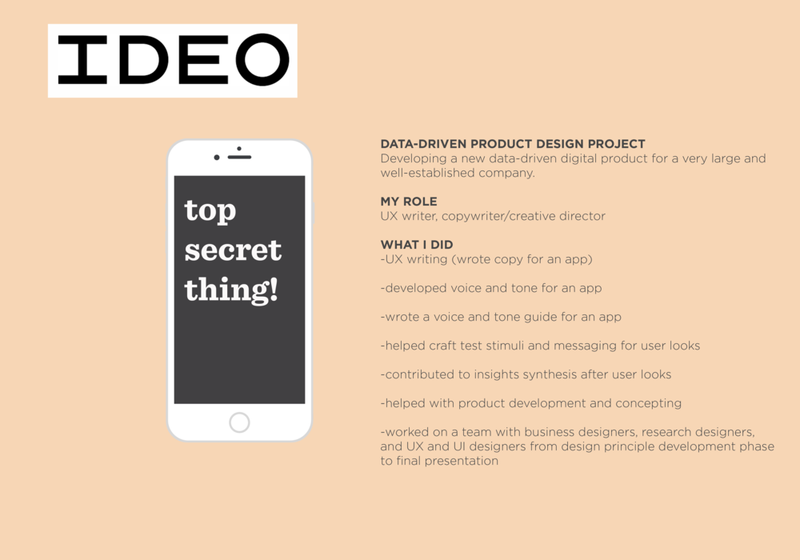 As a freelancer I’ve had the opportunity to work with Ideo on innovation design projects, which has been fantastic. Ideo is an award-winning global design and innovation consultancy, which is a fancy way of saying they do a lot of research and use their big beautiful brains to help companies and organizations develop new products, services and even industries. I love doing this kind of work because it’s very much like the creative process I know from my advertising background, except it’s focused on creating the things instead of creating the ads that sell the things. Same muscles, different sport. The work is always confidential, but I can describe my experience. I also took Ideo U’s “Insights for Innovation” class on design thinking research and you can see my project and process below. I've also worked on brand and content strategy projects with the great folks at One Design Company, an award-winning strategic design and development agency. and then crafted actionable insight statements to spark innovations to improve commuter transit in Chicago. 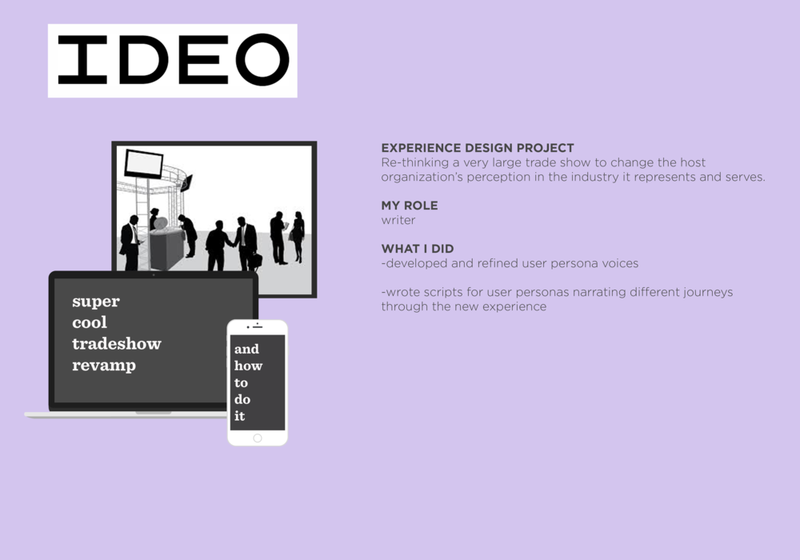 This is the project I did when I took the Ideo U "Insights for Innovation" class.